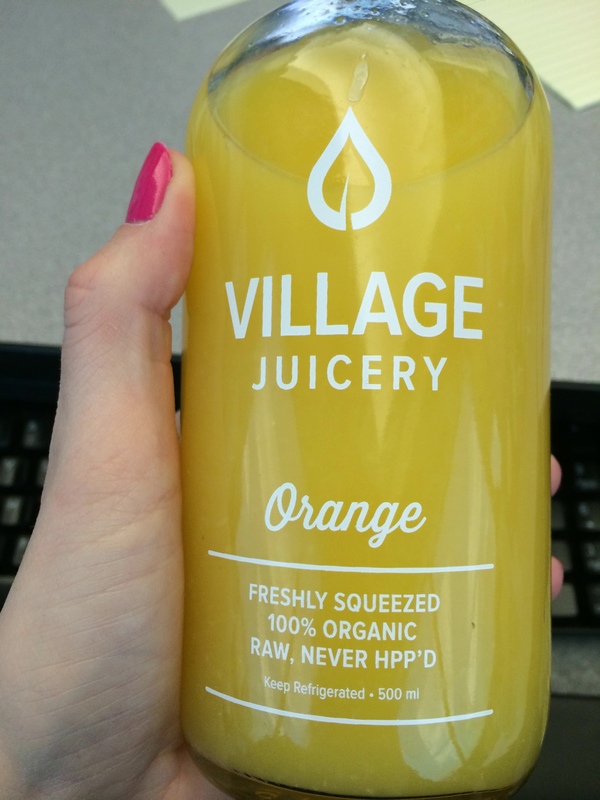 Last week I had the pleasure of checking out Toronto’s newest cold press juicery, Village Juicery, located at 540 College Street (near College and Bathurst). 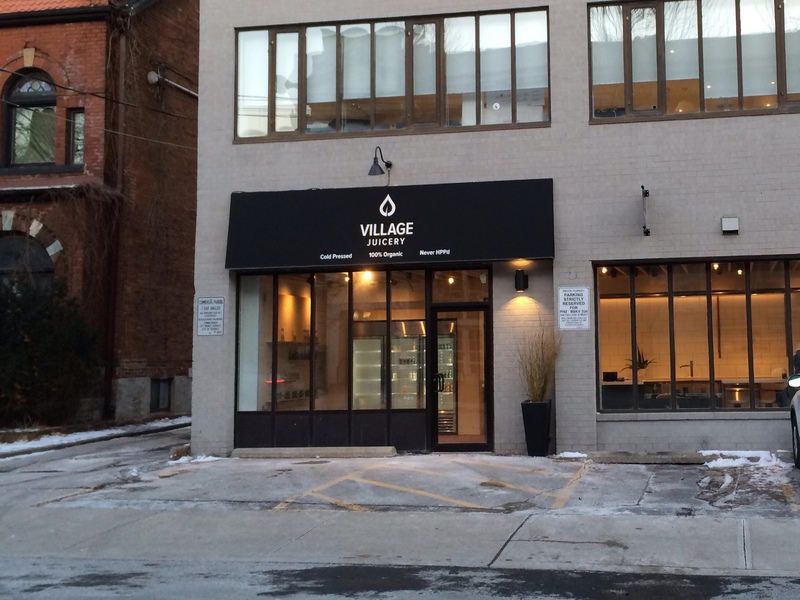 The Village Juicery is a small juice bar, with an extensive menu of cold press juices, freshly squeezed juices, and nut milks made daily here in downtown Toronto. 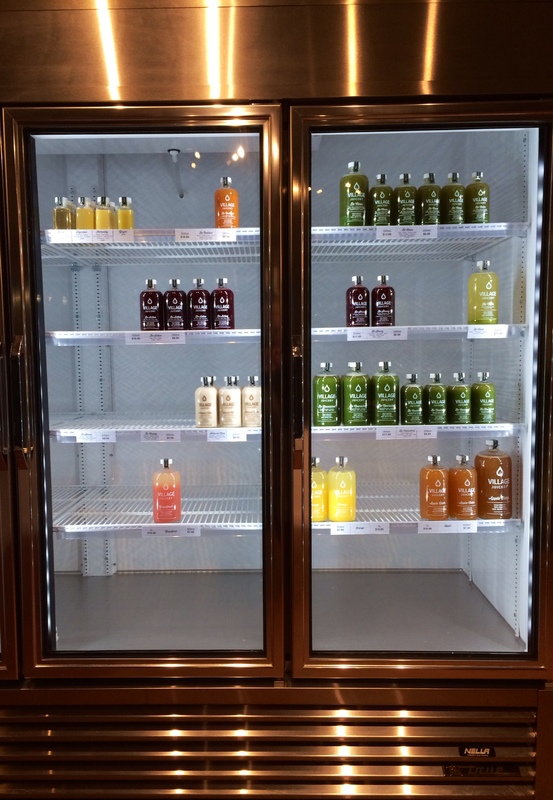 Cold press juices are all the rage right now and juicerys are popping up everywhere, but it was the connection to community and value in education that drew me in. Village Juicery is founded on three core principles “You are what you eat,” “Knowledge is power,” and “Be a villager.” And during my visit I witness each of these values in action. 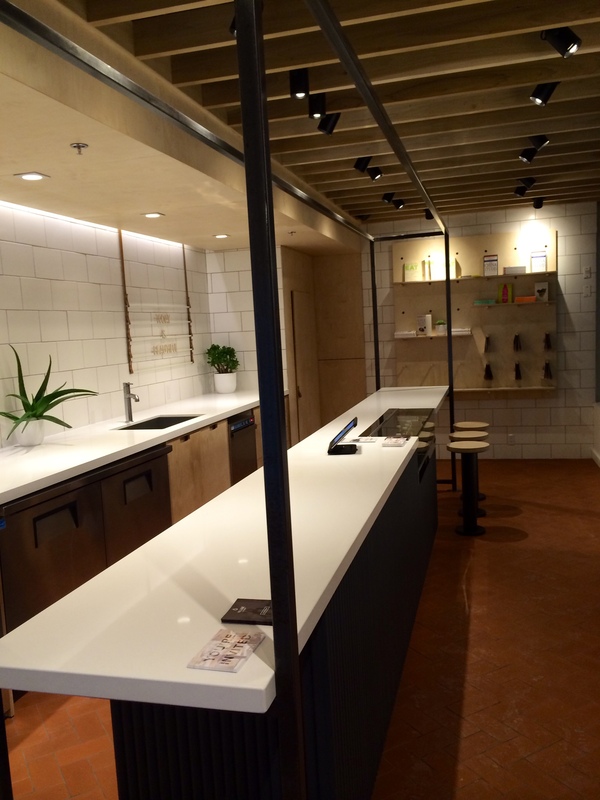 When I first entered the Village Juicery the scent of their wood interior washed over me, it was divine, and highlighted how truly new this space was. About 80% of the space is occupied by their juice bar. A large fridge of product, a wall of educational materials, and a wall of other salable products make up the remainder of the space. I met with their nutritionist Jessica and marketing director Karen, both incredibly pleasant and well educated on all things juice. A drawer filled with shot glasses was opened and the samples began to flow. From checking out their website I knew what I wanted to try prior to my arrival, but what I didn’t expect was their education focus and interest in learning more about me so I could pick the perfect juice. I had an awesome conversation with Jessica about fitness and the importance of nutrients and fueling. Jessica was also in fitness, so was able to speak very well to what my potential gaps and needs were and direct me towards the juices that would support that – energy and recovery. With an Ironman 70.3 training season under my belt, I was more then knowledgeable of the benefits of beet juice and was intrigued to learn that they had two different juices which contained beets. I gave the Be Active a try and as someone who actually doesn’t enjoy beet I was impressed. The predominant flavour for me was the pear (also the first ingredient) with also a small zing from the lemon and ginger. I ended up taking a bottle of this with me and enjoyed it prior to an intense indoor ride I knew I’d be having later that weekend. After my conversation with Jessica we also determined I’m more of a nut milk gal when it comes to recovery style juice. 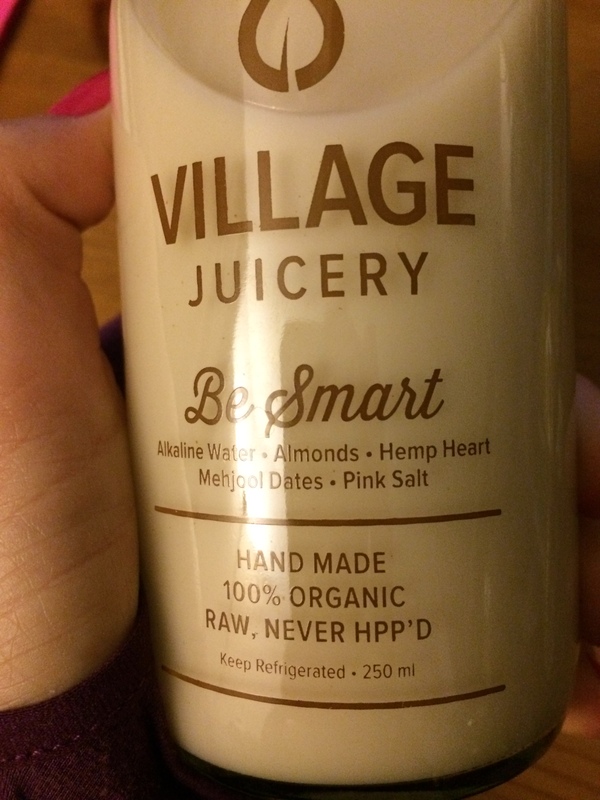 Their most popular nut milk, Be Happy, was sold out, it’s a cashew milk with dark maple syrup, so I enjoyed a sample of the Be Smart, an almond milk sweetened with dates and took a bottle home, which I pretty much had to fight myself to save for after my long run. What i enjoyed about the almond milk was that it wasn’t gritty as I’ve had in the past from other juicery’s. It had a smoother more consistent taste and perfect amount of sweetness from the dates. I did also leave with a bottle of their freshly squeezed orange juice. After seeing it on their website this was my one must grab and I enjoyed it the next morning with breakfast. It was delicious. And as their website states, it goes from the farm to your hand in less than 12 hours. It is important to note that some of these products are only offered seasonally. Prior to checking them out I did quite a bit of research on their website. Their products are 100% organic, avoid pesticides, have a high nutritional value, and support the environment. But I wanted to know what made them different and I experienced it for myself when I met their team and saw them living their core values. I left with a great product, plenty of education, and heard about their many connections to Toronto. I liked that they don’t promote their juices as meal replacements, but as supplements to healthy diets, and for those who are looking to use their cold press juices for cleanses, they suggest a consultation with their nutritionist so the specific goals and needs of the client can be met. 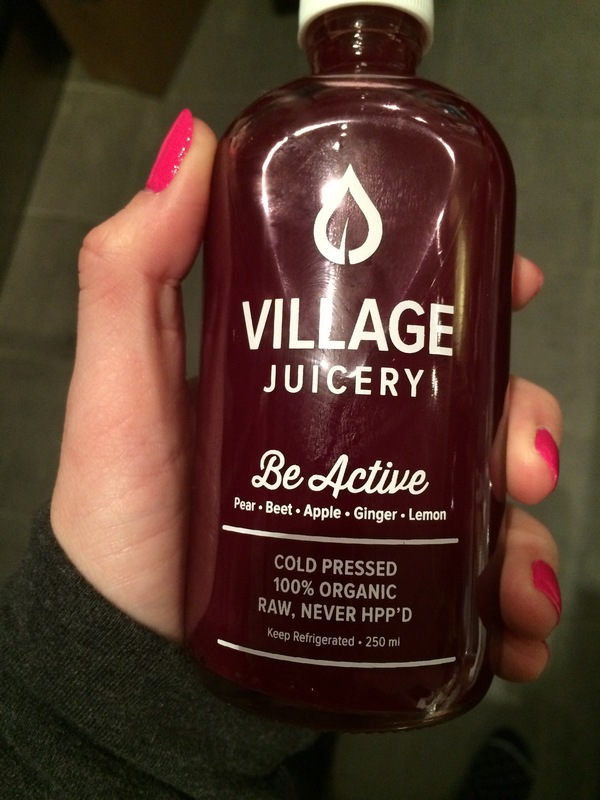 Want to give Village Juicery a try? This Thursday Tribe and Lululemon are teaming up with Village Juicery as part of our four part Runners Workshop. Following this weeks 5km run we will be meeting them in store and sampling products appropriate for athletes. Details here. Can’t make it out? Then I highly suggest you head up to 540 College to check out their full menu, and learn something too!